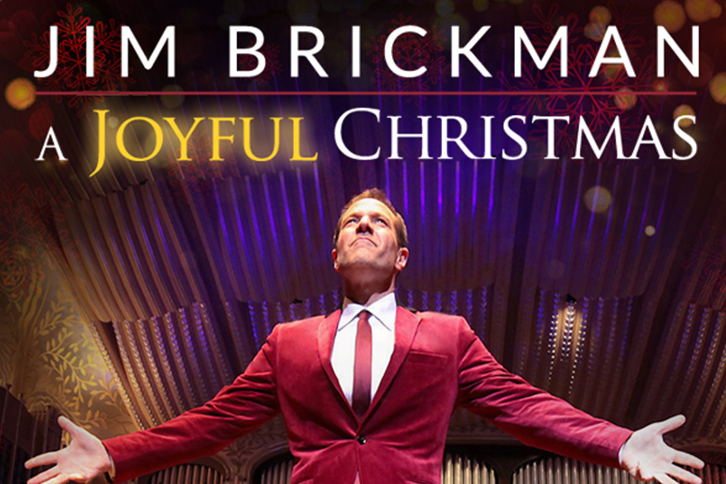 Jim Brickman’s 2018 Christmas show A Joyful Christmas is sure to deliver the sound and spirit of the season with carols, classics, and original songs to make your holiday season merry and bright. American songwriter and pianist, Jim Brickman, has earned six Gold and Platinum albums and is known for his solo piano compositions and vocal collaborations. He has earned two Grammy nominations for his albums Peace (Best Instrumental), and Faith (Best New Age Album). His collaborations have crossed genres featuring, Martina McBride, Carly Simon, Lady Antebellum, Michael W. Smith, Michael Bolton, Kenny Rogers, Olivia Newton-John, and many more country, R&B, Broadway, pop, and jazz musicians. Making its debut in January 1997, “Your Weekend with Jim Brickman” has been heard across the United States in more than 80 markets, featuring music blended with celebrity interviews. As a strong supporter of PBS, Brickman has released four specials for the public television network. Additionally to his radio and television appearances, he has hosted an annual fan cruise since 2006.